Indulge in a feast of Iftar experiences at Chival with a specially curated Iftar menu by Executive Chef Moritz Neumann that is served directly to the table for a family-style sharing experience. Just Brunch, is a more refined take on the extravagant Friday Brunch fare. Whether it’s Eggs Benedict or Crispy Crusted Salmon that you prefer, there is no wrong time of day for a whole burrata! Bring your appetite for a quintessional Friday afternoon, Just Brunch features breakfast classics, including Eggs Benedict and Smoked Salmon Avocado Croissant, and lunch favourites, that are served directly on the table. Keeping with the real flair of brunch. Choose from an array of waffles, cereals, fresh fruits and baked goods, along with a smoothie counter. 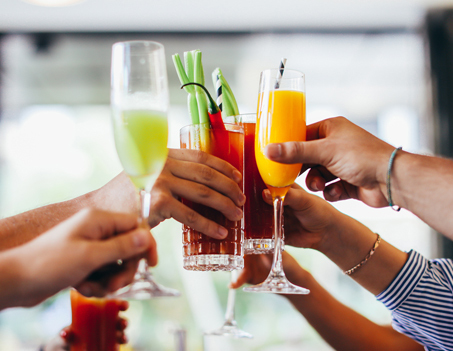 Indulge in delicious Mimosas and a full-blown Bloody Marys for a perfect Friday. AED 199 per person inclusive of Just Brunch and one Mimosa or Bloody Mary. AED 299 per person inclusive of Just Brunch and unlimited Mimosas, Bloody Marys and House Beverages. AED 399 per person inclusive of Just Brunch and unlimited Mimosas, Bloody Marys, house beverages and Veuve Clicquot. Enjoy laid-back evenings in the courtyard while listening to the live music from the likes of Jaymie Deville, one of the most followed performers in Dubai. Wednesday to Friday from 8 pm to 11 pm. Even if you are not early risers, Chival’s scrumptious breakfast spread will have you awake bright and early. 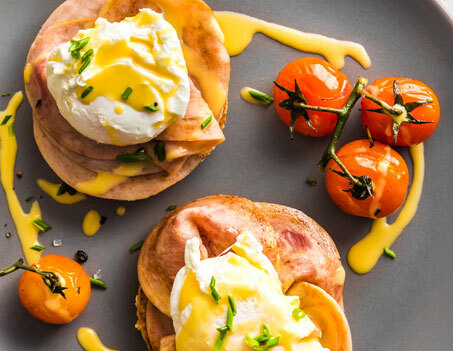 Serving breakfast until 11 am, the restaurants touts a bustling array of choices – whether you are looking for healthy, indulgent or somewhere in their middle. AED 125 per person for the buffet with unlimited food and beverages, or a la carte. Are you into healthy food and like a social setting? At Chival we believe in Global Social, a new cosmopolitan and social setting where menus focus on healthy and carefully sourced produce and every visit is a social experience. We work with carefully selected farmers and purveyors to source the very best ingredients from the region and our goal is to showcase the quality, diversity and the wonderful people who raise, grow and produce them. Chival is a chic and stylish dining destination for those looking to fuel up on nutritional feasts full of goodness. Its light and feminine décor also boasts a grand outdoor seating area, with an extensive range of menus available throughout the day. Join us for a dining experience that’s unpretentious, delicious, and fun. Bright and breezy by day, Chival is a chic and cosmopolitan space where the design lends itself to casual social gathering. Mornings are easy with the deep aroma of freshly ground coffee beans and baked pastries filling the air. A relaxing place to enjoy a late breakfast, light snack and lunch. As the sun sets over the Dubai skyline and candles are lit, an air of sophistication transcends the atmosphere at Chival. Menus match the mood as the evenings become night and the restaurant transforms into a wonderful casual dining destination in the heart of CITY WALK Dubai. 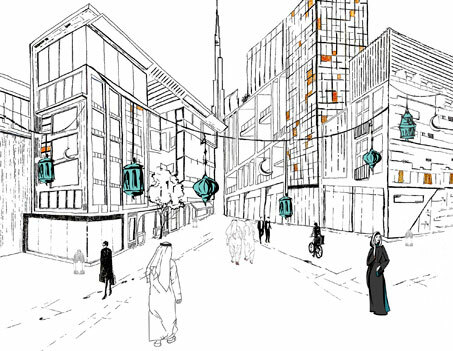 Celebrate the Holy Month of Ramadan with family and friends in the heart of City Walk Dubai within a . . .
"Here's my advice: have a little faith, and if that doesn't work have a lot of mimosas" - Bla . . . 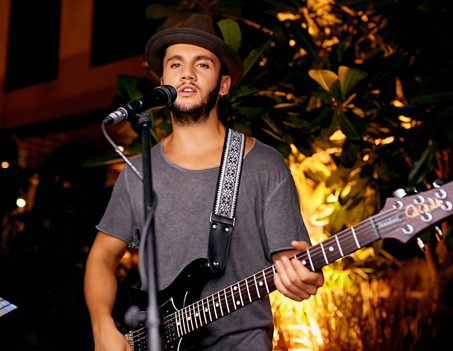 Enjoy laid-back evenings in the courtyard while listening to the live music from the likes of Jaymie . . . Even if you are not early risers, Chival’s scrumptious breakfast spread will have you awake bright a . . .